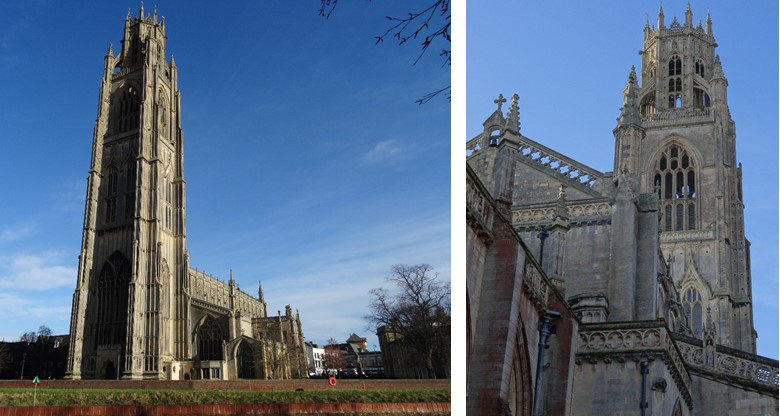 We are delighted to have been awarded the role of Conservation Architect for the magnificent St Botolph’s Church and its notably tall tower, better known as ‘Boston Stump’.The church has local, national and international significance, being a landmark for the town which dominates the landscape for travellers and with its close links to the Lincolnshire Puritans who founded a new settlement in America – Boston, Massachusetts. Once described by Pevsner as a ‘giant among English Parish churches’ and its tower as ‘the most prodigious of English parochial steeples’, it is one of the largest parish churches in England. At over 83m it can be seen for over 32 miles, I have been told that’s as far as the North Norfolk coast – I have yet to test that one! This Grade I listed church is breath-taking both inside and out. From its sheer volume to the stained glass and the wood carvings, it has a rich and captivating history. No matter how often I visit a new building, I am always in awe of the architecture. St Botolph’s is known as a ‘Calendar’ church – with many dimensions of the church corresponding with periods in the calendar, for example, 12 pillars, 52 windows, 7 doors and 365 steps to the top of the tower. But don’t take my word for it – count them for yourselves! We are currently working with the church on the conservation of the Chancel South Porch.